English Premier League side Manchester United have lured top target and Napoli star defender Kalidou Koulibaly with a luring offer as they prepare a bid for him ahead of the winter transfer window which reopens in coming weeks. United have been linked with the Napoli star for a couple of weeks and a deal could finally fall through with the Old Trafford side ready to hand him double of the £80,000-weekly wage he earns at Naples. The English Premier League side are desperate having had a very poor start of the season with bad results and conceding 29 goals in just 17 Premier League games. However, reports claim that Manchester United will go ahead with defensive signings in the winter transfer market having failed to secure his wish in the past. The Sun reports that United are convinced about the player after sending scouts to watch him in the Champions League tie between Liverpool and Napoli at the Anfield last week. 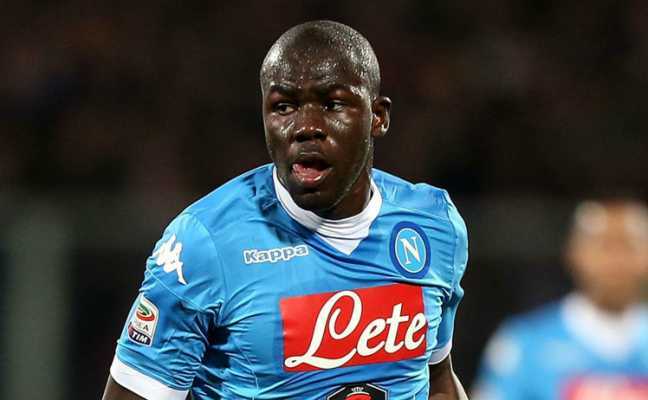 However, Napoli will do all it takes to convince Kalidou Koulibaly into staying back but there are no assurance they will succeed with the player already keen to play in the English Premier League.